To enhance its medical diagnostic imaging systems, Sectra is applying artificial intelligence and machine learning technology to help pathologists with time-consuming tasks such as cell counting, allowing pathologists to focus on more advanced tasks. 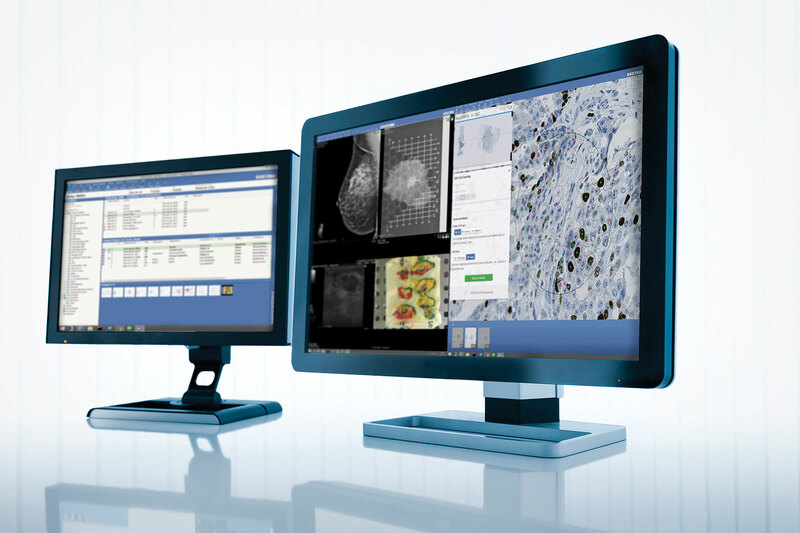 The company also emphasizes integrated diagnostics, which can, for example, facilitate collaboration between radiologists and pathologists by allowing images from both diagnostic specialties to be archived and viewed in a single system. Once the domain of science fiction, today’s facial-recognition systems easily crunch camera data using sophisticated algorithms that define general features, gender, and even mood. However, more than 50 years ago, the first forays into digital-image processing involved the analysis of cell images, not faces. In the 1960’s, Judith M.S. Prewitt and colleagues described the use of computerized imagery for the morphological analysis of cells and chromosomes. The last decade has witnessed great strides in the digitization of traditional microscopy using whole-slide imaging. Today, this technology is quietly revolutionizing even the most complex areas of pathology. Indeed, the field of computational pathology is a moving target with varied definitions. Overall, it represents a holistic, yet mathematical means for diagnosis that incorporates multiple sources of data (e.g., pathological, radiological, clinical, and molecular data and laboratory findings) to derive clinically actionable knowledge. The field is poised to become a global game-changer. The continuing progress, regulatory issues, and future of the field was discussed at the recent Computational Pathology Symposium, held as part of the 29th European Congress of Pathology 2017 meeting in Amsterdam, the Netherlands. Identifying cancer subtypes and predicting response to treatment are driving forces of precision medicine for cancer diagnostics and therapeutics. Mining the details of the intricate architecture of tumor cells requires more than the naked eye of a skilled pathologist. The disciplines of radiomics and pathomics help elaborate those features and measurements. The sophisticated algorithms employed by radiomics and pathomics extracts large amounts of quantitative features from medical images and high-resolution tissue images, respectively. Dr. Madabhushi says the ultimate goal is to do more with less: “The idea is to take routinely acquired data and maximize knowledge gleaned using computational tools. Further, this approach may soon positively impact global healthcare. While quantitative image analysis in digital pathology can vastly improve the speed, objectivity, and reproducibility of whole-slide analysis and biomarker interpretation, a major challenge is developing, validating, and sharing novel algorithms. Peter Bankhead, Ph.D., senior image analyst at Philips, developed digital pathology algorithms as a postdoctoral researcher at Queen’s University, Belfast, Ireland, to support the molecular pathology research program. What resulted was an open-source platform called QuPath. As tests become more sophisticated and generate data more comprehensive, the resulting information explosion requires seamless integration for efficient data management, querying, and mining. No small task. “The development of a multisite pathology informatics platform must encompass many key elements,” reports Sylvia Asa, M.D., Ph.D., professor, department of laboratory medicine and pathobiology, University of Toronto, Canada, and former pathologist-in-chief at University Health Network (UHN). Because exploratory research in immuno-oncology continues to expand, Dr. Montalto believes the market will continue to see more of this approach. Another future improvement will include multiplexing that assesses many proteins, not just one, which is critical for immunophenotyping in the context of the tumor microenvironment. Digital pathology may advance the development of cancer drugs such as checkpoint inhibitors by processing images that inform tumor profiling, mechanisms of action, and patient selection. 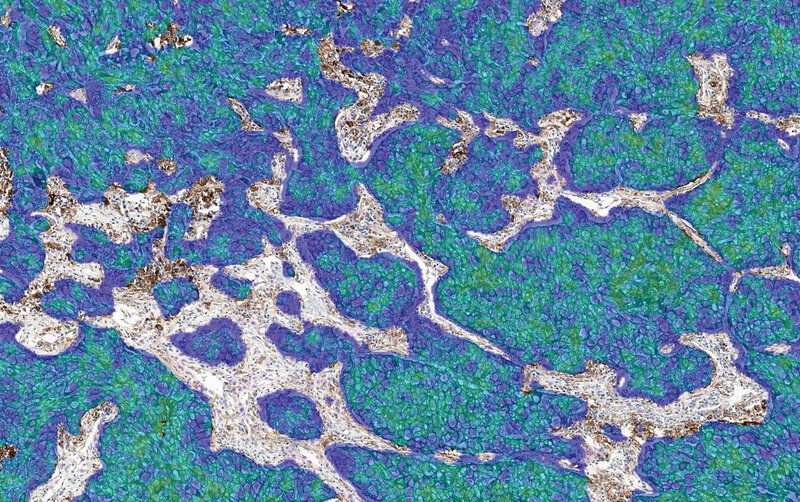 For example, automated image analysis algorithms are being used to augment immunohistochemistry (IHC) testing in the clinic. 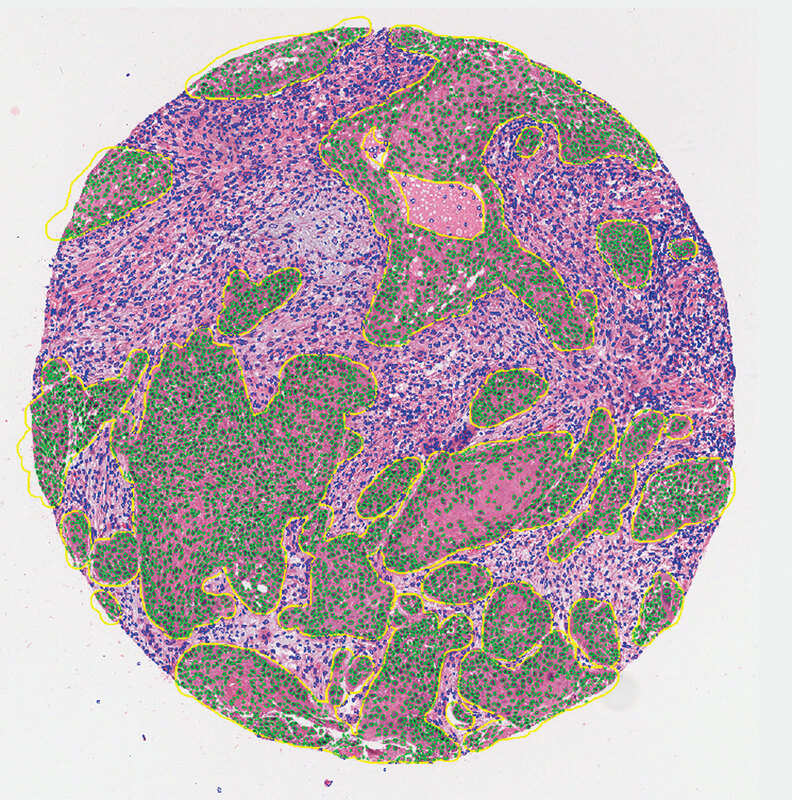 In this image from Bristol-Myers Squibb, PD-L1 IHC testing of formalin-fixed paraffin-embedded lung tissue shows a staining pattern that reflects non-small cell lung carcinoma.